At Perfect Painters & More we specialize in exterior house painting of all types. We take pride on our reputation for great-looking results, fair prices, and customer satisfaction. If you live in the Maryland area and are interested in a free exterior painting quote, contact us today! We serve Baltimore, Towson, Ellicott City, Glen Burnie, Columbia, Middle River, Silver Spring, Germantown, Bethesda, Gaithersburg, and many surrounding areas. Strong adherence properties: Your paint will need to be able to adhere strongly to the surfaces where it’s applied, particularly if that surface is old, weathered paint. When looking for exterior paints, it’s important to understand the relative importance of each of the factors that make up a particular paint product. Combined with the unique setting of your home, this decision will be the difference between years of satisfaction with your home’s exterior versus a new paint job five years down the line. Most of the highest-rated paints for both the interior and exterior of your home have a high level of VOC’s (Volatile Organic Compounds) in their design. While these toxic chemicals are unlikely to cause health issues when on the outside of your home, these emissions can contribute to environmental damage. One compromise to consider is to use recycled paint on your home. The performance is comparable to other paints, but you can rest a little easier knowing that you’re helping to do your part for the earth. 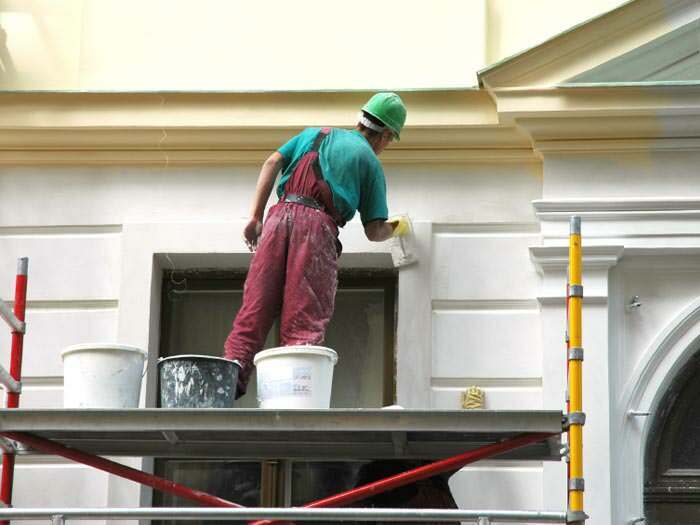 We are experienced in working with stucco and can make all the needed repairs around your home. After considering these factors about your paint, it’s also important to ask more specific questions about your home. How will the wood or siding of your home be prepared to best accept the paint you’re applying? How much UV light does your home experience? Will your home’s new color fit in your neighborhood? The professionals at Perfect Painters & More can help you answer these questions and ensure the best possible paint choice for your home when you schedule a free quote! If you’re looking for professional, knowledgeable, and certified painters to upgrade your home, we’re the experts you’re looking for! We’re proud of the work we do, and of the satisfied customers we’ve earned throughout the years. To meet with one of our specialists for a free quote, contact us by phone or e-mail today! We’ll inspect your home, answer any questions you have, and provide you with our pricing in written form. We proudly serve throughout Towson, Baltimore, Ellicott City, Columbia, Glen Burnie, Silver Spring, Middle River, Bethesda, Gaithersburg, Germantown, and many surrounding areas.